It is nice to add some veggies to your breakfast. Nothing is simpler than steamed veggies. Bacons add some favor to the breakfast; they are not so healthy but a couple of strips occasionally will be okay. 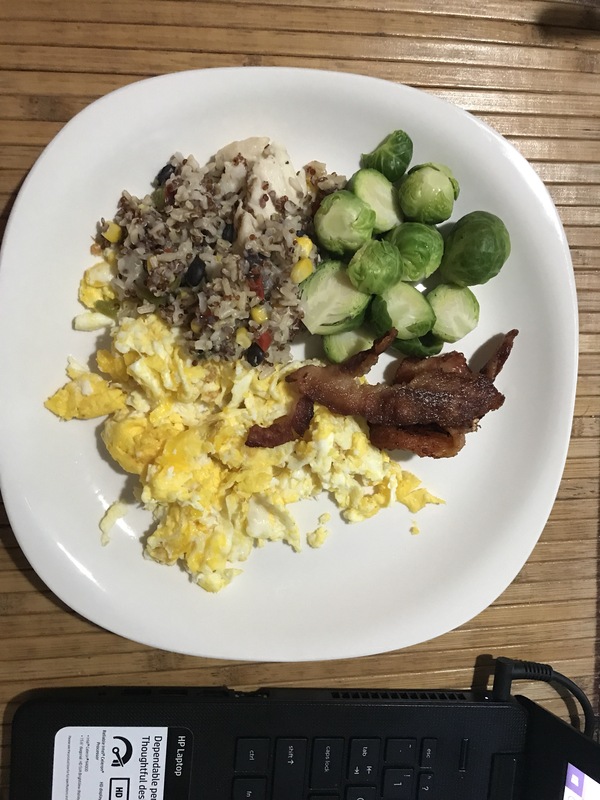 Heat up some pre-made frozen fried rice or cooked brown rice to eat with the eggs, bacon strips and steamed veggies and a few pieces of fruits. With such a breakfast, you will feel great to start a new day!